NBA Quietly Readying New Jerseys for Advertising? Home / Branding / NBA Quietly Readying New Jerseys for Advertising? All I’m saying is, if I were an advertiser and wanted my brand on an NBA jersey, these would be some ideal conditions – no distracting and contrasting colors and plenty of space. We’ve become accustomed to the walking advertisements that are professional athletes. Golfers’ shirts, hats and bags are littered with name brands when they take to the course. NASCAR drivers completely cover their suits and cars with sponsors.  Even professional video gamers dawn gear from their favorite energy drink brands when they play in national events. So the NBA would merely be following the trend if they truly are looking to scrape more revenue with a ‘Your Ad Here’ campaign. There may, however, be a couple of details that poke holes in my theory. First of all, these updated jersey designs, while trendy, are far from the traditional design and may not be popular with everyone. Secondly, these are apparently going to be this year’s Christmas Day jerseys and could be the usual ploy for the NBA to get a quick boost in jersey sales. Finally, as Adidas is currently the exclusive jersey provider of the NBA, they may not take too kindly to advertisers drowning out their own logo. Personally, I think the traditional jersey is becoming a little bit dated and the 2013 Christmas jersey is a refreshing and sleek take on the ol’ getup. Tell us what you think about the new designs. 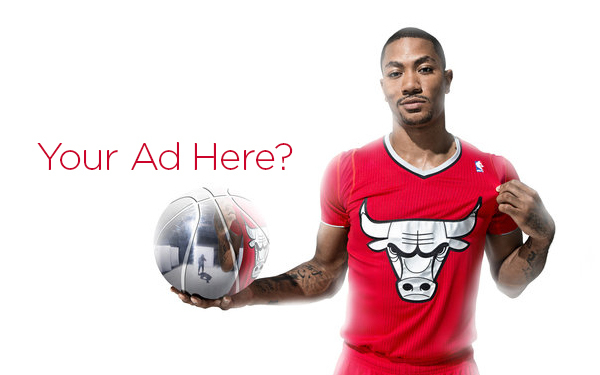 Do you think the NBA is silently pitching a proposal to would-be advertisers? Also, enjoy the NBA’s holiday spot – “Jingle Hoops,” promoting the Christmas gear.